Here at Bambini we endeavour to provide your child with dedicated educators that will nurture and facilitate growth and development. We strive to provide a supportive, safe, and stimulating learning environment that will foster solid foundations for every child’s life long success. At Bambini, we promote project-based learning. This method of learning enables children to gain knowledge and skills by dedicating an extended period of time to investigating and responding to an authentic, engaging and meaningful question or challenge. Projects or investigations may last for as little as a week or may last as long as the year; the children facilitate this timing and decision making. We believe that projects and investigations provide many learning experiences that benefit children. Children present their own questions to be answered or take the initiative for investigation into their own inquiries. Through conducting their own investigations and making decisions about their learning activities, children become empowered, dedicated and invested in their learning. This active involvement in their learning builds children’s creative thinking and inquiry processes that are necessary for lifelong learning. Educators enhance learning with real world connections, excursions/incursions and provocations. This approach to learning encourages skill application and positive learning habits by attempting to make learning as enjoyable, fun and self-motivated as possible. Our indoor and outdoor environments have been designed to inspire and promote each child’s learning journey. The environments are designed to flow seamlessly from one to another to create an interconnected experience linking learning experiences to create an ever-evolving opportunity for growth. 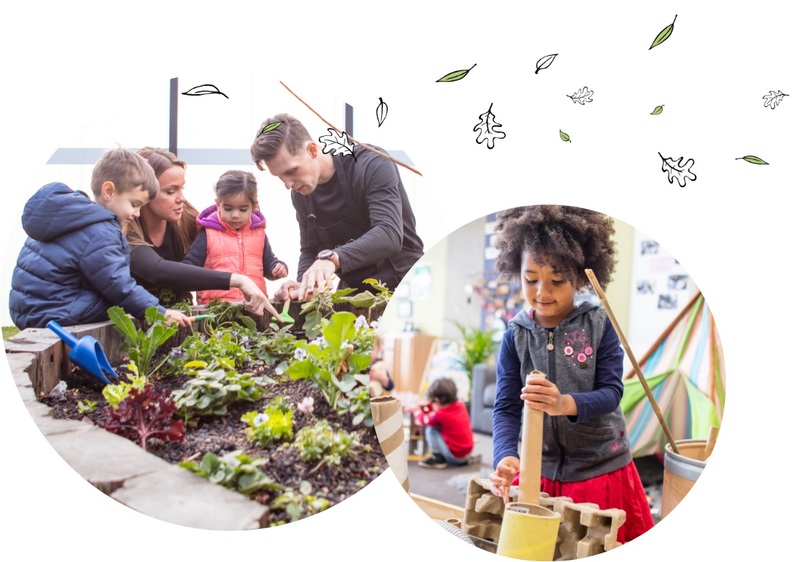 Outdoor environments provide opportunities to learn through play, enabling access to materials that stimulate investigation and reflection, and are enriched with natural resources and opportunities to connect with nature. Our indoor environments have been supplied with the latest resources and furniture to encourage children’s inquisitive nature at every age group. At Bambini, we support an emergent curriculum that is driven by children’s interests, suggestions and notions. Educators observe and converse with each child then interpret their collected information to channel into intentional focuses within their environment. To support our emergent curriculum, educators use provocations to introduce children to new concepts. These are used to provoke conversation, thoughts, creations and learning beyond the obvious which then influence the emergent curriculum. Bambini understands that during the first few years of a child’s life, their needs significantly differ as they grow. Age ranges are maintained in each room to ensure the needs of each child are not just met but exceeded and each experience is there to enhance their next stage of development. The years of early childhood are so fast paced with every moment being an opportunity for learning, these years are going to be some of the most fast paced for social, emotional and cognitive development for your child. We try to find varied, fulfilling ways to engage your child and we have enveloped these in what we call Bambini Flourish. 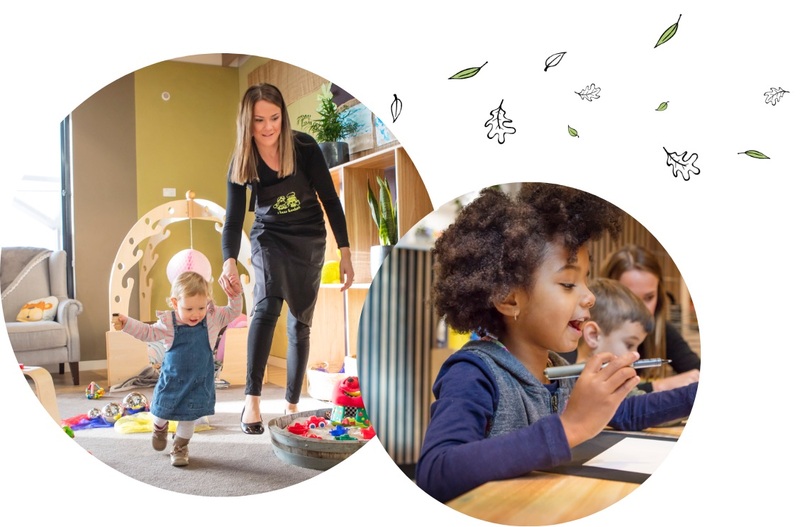 Bambini Flourish is what we feel captures a holistic approach to development including elements of creativity, exercise, science, movement, language, literacy and socialisation. To further provide a variety of learning opportunities for each child’s developmental and educational journey- Bambini offers specialty science classes for children aged 4 years and older. Our science teacher visits each of our services to work alongside the children and provoke discussions relating to important scientific concepts such as cause and effect, problem solving and hypothesising. Our art curriculum promotes children’s learning in an authentic, emergent way. It encourages the voices of children, parents and educators. Our progressive approach to early childhood art education links artistic expression with children’s natural development. We focus on artistic expression through ‘natural-unfolding’ behaviours. We strive for every art experience to be a sanctuary where each young child is free to be himself/herself and to put down his/her feelings and emotions without censorship. Our art teachers promote the visual as a dominant language within our setting. We value the way visual art promotes collaboration amongst children and the empowerment children experience in being able to make their ideas visible. Our music program provides an oasis in the day, where children are able to fully involve themselves in sound, sight and feeling. One fundamental aspect our music classes is the educators shared value of practicing the pedagogy of listening which is highlighted in these music settings of two-way sharing. This concept values children’s perspectives and understanding of their world as a foundation on which all learning is built. We believe that ingraining a sense of community, connections and empathy are all key to raising socially aware young citizens of the world. Our approach to giving back is quite simple, we know that we have the people power and energy to help others, so we do just that. We embrace the uninhibited children’s imagination and curiosity that lead us to new opportunities in our local and global community we can support. Giving the children power to come up with their own ways to engage and give back, builds a sense of leadership, empowerment and empathy alongside the ownership they have of completing these projects. Learning about the individual stories and roles of members of our community drives many questions and conversations amongst children. We embrace the chance to engage ourselves in our community and collaborate with charities and local groups. Young children are in a stage of rapid development and are able to absorb mountains of new knowledge that interests them. We branch into our community to provoke new learning opportunities as well as building knowledge about new people, animals and groups that require support. 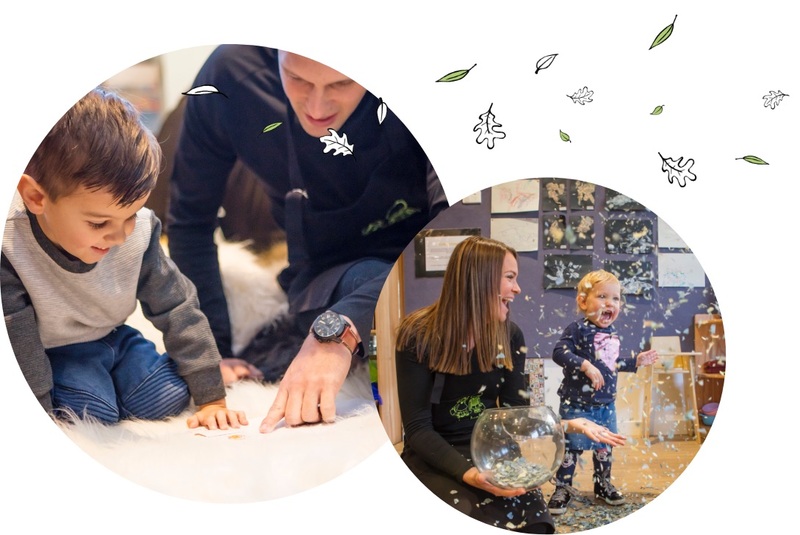 With all of our child care centres, we recognise that our footprint on the environment grows as we do. We are making it our priority to discover ways to minimise our negative stamp on the environment. Our community gardens at every centre are a point of focus and discussion for all children in our care. Our educators spend plentiful time with the children planting fruit and vegetables which they help to nourish and feed as they grow. Once our plants are sprouting and have delivered us fresh produce, children help to pick and share these with our in-house chefs to be a part of our seasonal menus for every child’s enjoyment. Observing as the fresh vegetables go from garden to table brings a sense of pride to be able to contribute and share with our community, something they helped to thrive. This process also highlights the importance of nurturing our environment to maintain it and keep it lively for us and those who come after us. As a business, we opt for environmentally friendly products when appropriate within each centre including bio-degradable nappies for our younger children. Within each service, we have a commitment to using recycled and natural materials within our art projects or for in-room experiences, including loose parts play. Recycled parts play a fantastic role in the curriculum as they can be turned into an endless cycle of imaginary creations. We encourage all family’s involvement in our sustainability journey and support their contributions whether in the form of recycled items, opportunities or collaborations with community groups. Healthy eating habits are something that we believe can be instilled at a young age, so your child’s time in our care is the perfect time. To ensure that your child has the energy they need for maximum learning, we provide a nutritious home-made menu created by our in-house chefs. Our four-week rotating menu is devised to reflect and align with fresh seasonal fruit and vegetables. Every menu is focused on the specific nutritional needs of each age group, utilising fruit and vegetables in various textures and recipes to match children’s dietary requirements as per Nutrition Australia. Chefs are encouraged to be creative in their recipe selections offering a variety of the way they present the essential vitamins and nutrients. Each of our qualified chefs and nutritionist have experience in catering towards food allergies and intolerances along with cultural requirements. Meal times at Bambini are celebrated and seen as a time to come together and share conversation, so these times are unrushed and flexible. Every child is encouraged to take their time and make decisions around what goes into their body, while being supported to experience new textures and tastes. Meal times are viewed as an opportunity to practice self-help skills and the children are encouraged to serve themselves and offered alternatives if they are not comfortable with the daily menu selection. We believe in keeping routines flexible to align with home life and the daily needs of the individual child. Here at Bambini we know family life can be busy ,and juggling children and life commitments can leave very little time to explore or unpack a child’s day with us. Our Bambini App offers educators the opportunity to communicate in real-time each day with families about their child ‘s achievements and experiences through photographs, observations and learning stories. We also use the App to capture key learning and development moments that assist educators in their programming and ensure a truly personalised approach when considering each child’s individual interests, developmental stages and strengths. When you begin at one of our Bambini services, your Centre Coordinator will demonstrate how to download and utilise the many features of our app including listing when your child might not be attending or even booking any future casual days. Please contact your centre directly for instructions on how to download the app for your individual centre.